How can we help? Contact Donald Olund, MA, LCPC, NCC. Please feel free to call us at 630-655-0404 or send us a message day or night using the form below. 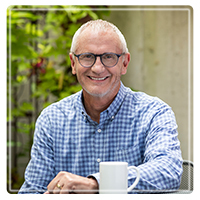 Don Olund is a Licensed Clinical Professional Counselor and the owner of LifeWork Counseling. A Relational Communication Specialist, he helps couples and families build respectful, happy relationships by transforming unhealthy patterns into positive connections.